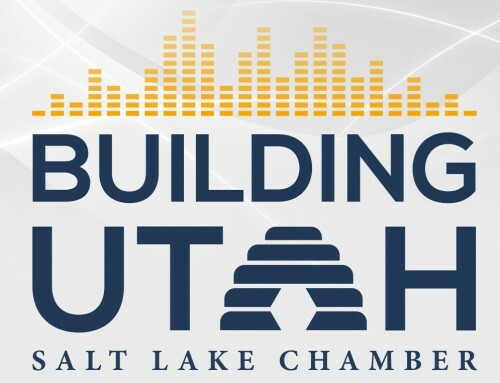 In the latest episode of the Salt Lake Chamber podcast “CEO Success Stories,” Derek Miller, president and CEO of the Salt Lake Chamber and Downtown Alliance, sits down with Aaron Skonnard, CEO of Pluralsight, to hear about his leadership philosophy, best practices, lessons learned and his unwavering dedication to help drive Utah to become a nationally recognized technology hub. Aaron Skonnard co-founded Pluralsight in 2004 and has since grown the company to more than 1,000 employees and 1,500 expert authors. Under Aaron’s visionary leadership, Pluralsight bootstrapped for nearly a decade before taking outside funding. Along the way, Pluralsight acquired eight companies in three years and, in 2016, launched the world’s leading enterprise technology learning platform that is now used by 70% of the Fortune 500. Additionally, he is also a founder and board member of the Silicon Slopes organization, where he uses his expertise and experience to empower technology companies across the state. Aaron believes deeply in giving to those who need it most. Fueled by his desire to do good, Aaron’s philanthropic efforts reached new heights when he recently announced Pluralsight One: a social initiative that will support nonprofit organizations and amplify their impact by equipping them and the people they serve with the technology skills needed to solve the world’s greatest challenges. Under this initiative, Pluralsight joined the Pledge 1% club and will give one percent of its product, time, equity, and profits to uplift communities in need. Four days after announcing this initiative, Pluralsight One joined a handful of tech giants to donate $300M (in total) to fund K-12 computer science education in the US.